Sonny Smith is a native of San Francisco, but it wasn’t until he moved to Gunnison, Colorado that he got started with music. While there he worked as a professional musician, playing blues piano in various bars. He moved to Denver and made a name for himself there, but before long headed to Costa Rica to work on an Organic Farm. While there, Smith began writing songs, plays and short stories in earnest. A band has to be either pretty confident or pretty playful to name their album Hit After Hit. 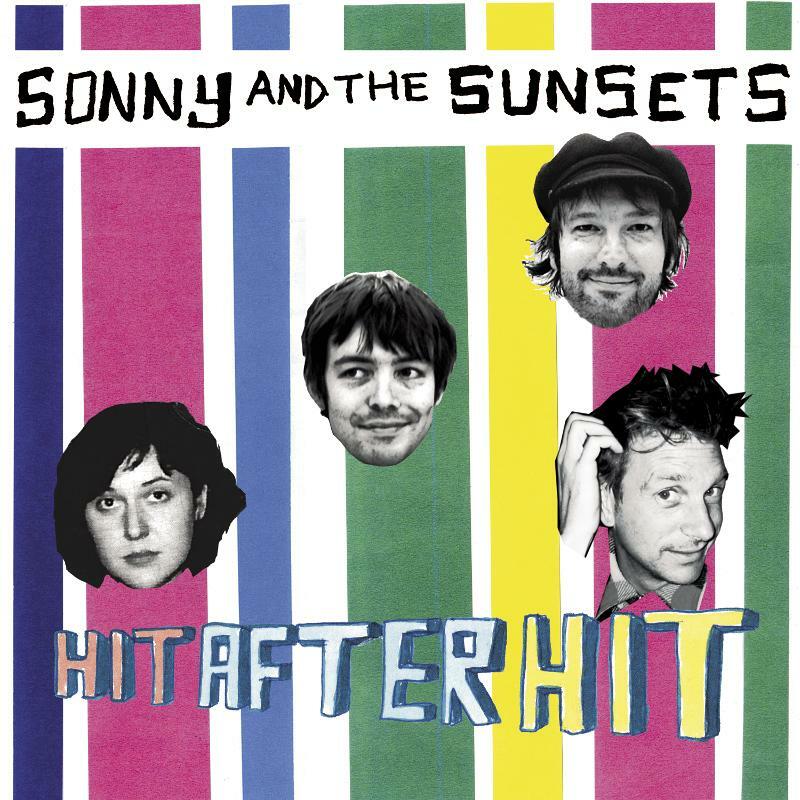 In the case of San Francisco’s Sonny And The Sunsets, who named their latest album just that, I suspect it is a little bit of both. Sonny and the Sunsets play unabashed rock and roll. Their sound draws right from the 1950’s and 60’s, weaving unashamed garage pop influences with dirty surf tones. It’s almost like they came out of a time machine. Their beat up old instruments look like they could have been bought in a pawn shop not just now, but back then. Their tunes are simple enough, and It’s pretty punk rock in a way. Some standout songs include ‘I Wanna Do It’ (also out as a seven inch single, ‘Teenage Thugs’, and ‘Don’t Act Dumb’ (check out this video). A couple personal favorites of mine are the dirty psychedelic surf instrumental ‘The Bad Energy From LA Is Killing Me’ and ‘Girls Beware’, a laid back tune with those 50’s ooh’s and aah’s I like so much. They are upbeat day at the beach grooves with roots that reach deep into the fertile soil of 60′s pop. There are catchy hooks, wide-eyed wah-wah-wah harmonies, and all the straight-faced and sincerly upbeat lyrics you could ever hope for from a pop song. Definitely check this album out, along with their first album as well. If I had I time machine I’d go back and stick this in the jukebox down at the soda shop; the sound is right on and the overall vibe might rile the kids up a little more.